Business lessons are everywhere you look. Here’s what an interaction with the guy who installed our gutters taught me about good client relations. 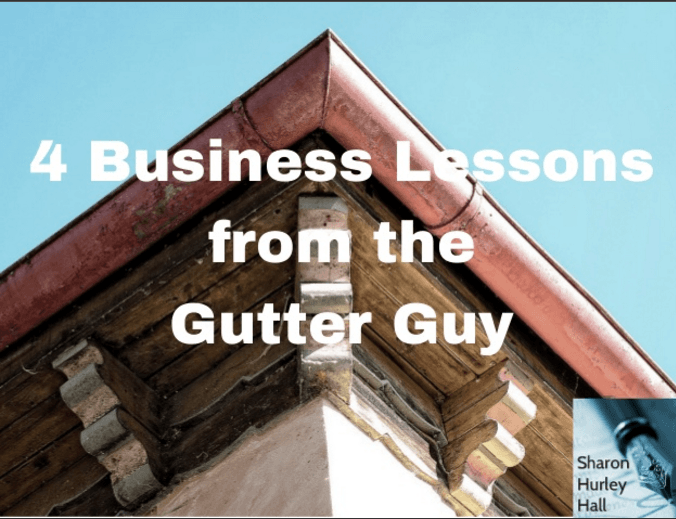 For more detail on the four lessons, check out this post on LinkedIn: Business Lessons from the Gutter Guy. I love the slideshow, Sharon! And I love the approach this guy took. It’s amazing how many business opportunities we miss simply because we forget to look around. I hope 2016 has been awesome for you so far, Sharon. Let’s connect soon.